I'm usually not a big fan of power metal, but this really blew me away. Instead of the shameless self promotion that many bands of the genre go for, Blind Guardian focuses on the creation of their distinctive, progressive and melodic art. Intricate melodies, excellent dynamic sense and complex arrangements make this album a winner. At first the Yes-like background vocal harmonies turned me off a little, but after a few listens I really began to like them. Vocalist Hansi Kusch turns in one of the greatest performances I have ever heard. His vocals really make this album what it is, not to take anything away from the excellent songwriting and instrumentation. The vocals go from passionate, aggressive primal screams to lilting, acoustic-backed melodies, to giant harmonious choruses. The album is based on J.R. Tolkien's "The Silmarillion", which adds to the continuity of the record. The music really does unfold like a story, and the fantastic realms of Tolkien's imagination are fittingly replicated by the music. Because of the massive scope of the album, and the sheer weight of all the harmonies, melodies and arrangements, this album takes a listen or two to really get into. 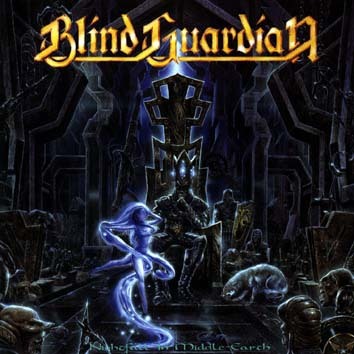 However, once you immerse yourself in the world of Blind Guardian, you'll never be the same. Epic.